The Turkish government’s seizure of independent media companies is to be challenged in two international cases on the grounds that the multibillion expropriations breach investment treaties involving Britain and other EU states. The UK-related claim, worth more than $5bn (£3.8bn), is aimed at overturning what are alleged to be politically motivated confiscations by the regime of Turkey’s president, Recep Tayyip Erdoğan,. Both are being taken to the World Bank’s International Centre for Settlement of Investment Disputes (ICSID) in Washington. 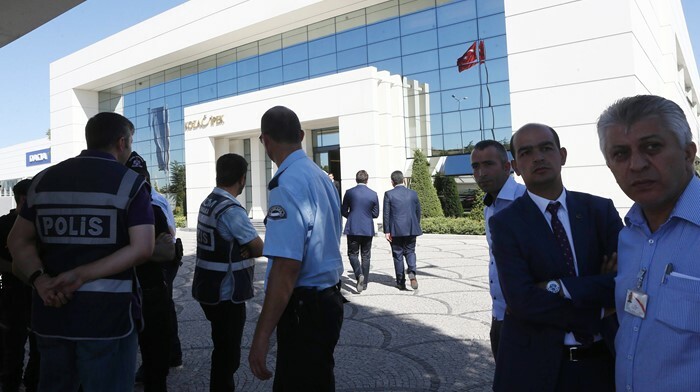 The latest case has been brought by Ipek Investment Ltd (IIL), a British company headed by a Turkish businessman, Hamdi Akin İpek, who lives in the UK. His holding company used to control the Koza Group of companies in Turkey, including Bugün newspaper and Kanaltürk TV station, which were seized in 2016. Other companies are being run by trustees nominated by the government’s Savings Deposit Insurance Fund of Turkey. Tekin İpek, a director of the Koza Group and brother of Akin İpek, has been imprisoned in a Turkish jail for more than two years. Bilateral investment treaties, such as the one between Turkey and the UK, provide investors with a means to seek redress for unfair treatment. Ipek Investment Ltd’s claim says: “IIL seeks compensation for illegal acts attributable to Turkey which expropriated, treated in a discriminatory fashion and otherwise failed to protect IIL’s investments in Turkey.” The company estimates damages to be in the range of $5bn to $6bn . At the time Turkey alleged it carried out raids on the companies due to financial irregularities. The group was accused of having links to the Islamic cleric Fethullah Gülen whom the Turkish government alleges was behind the 2016 failed coup. More than 1,100 companies, according to one survey, have been transferred to Turkey’s Savings Deposit Insurance Fund, most of them following the failed coup. Journalists on confiscated newspapers and TV stations have been arrested, replaced and jailed. Markus Burgstaller, a partner in the London law firm Hogan Lovells which represents Cascade, told the Guardian: “Turkey alleged that the company was part of the Gülen foundation. It’s now under the trusteeship of the Savings Deposit Insurance Fund of Turkey (TMSF). My client did not invest in Zaman newspaper directly but in the company that provided services to Zaman. “This was part of the expropriation of opposition assets, particularly in the media. The claimants are outside Turkey. They are claiming damages of at least €65m. The Turkish government did not comment immediately.